When I was a kid I had a lot of Dairy Queen ice cream cakes for my birthday. This was totally great and perfect and fine! 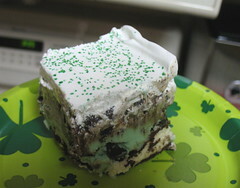 Ice cream cakes are stellar, and Dairy Queen’s cake had that amazing line of fudge in the center, with the crunchy chocolate bits. 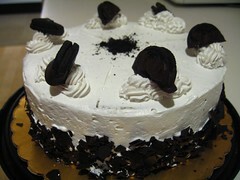 Then, Cold Stone Creamery happened, and I had Cold Stone ice cream cakes for a few years. Those were also delicious, because you could put little bits of Snickers or Reeses into the ice cream. What’s your standard sugary birthday treat? Cake? Ice cream? Both? Or are you one of those people who prefer pie or pudding? Let me know!